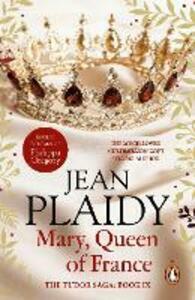 The ninth of Jean Plaidy's Tudor novels - the story of Princess Mary Tudor, a celebrated beauty and born rebel who would defy the most powerful king in Europe; her brother, Henry VIII. Princess Mary Rose is the youngest sister of King Henry VIII, and one of the few people whom he adores unconditionally. Known throughout Europe for her charm and beauty, Mary is the golden child of the Tudor family and is granted her every wish. Except when it comes to marriage.